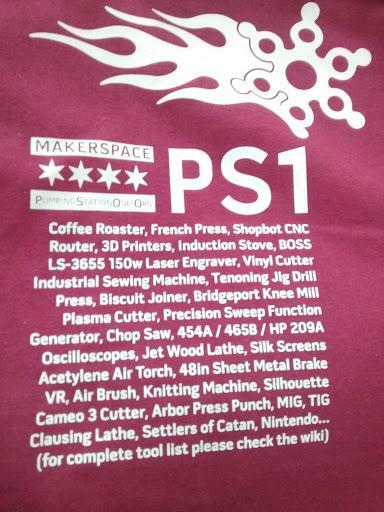 A T-Shirt by PS:1 for PS:1 from PS:1. Member Haddon Pearson created this shirt to be available for sale to the membership and the general public. It was unveiled and first offered for sale during the Open House Chicago event in 2018. Limited edition, get them before they are gone. To pick up your order please bring your receipt to Pumping Station: One any Tuesday at 8:00PM for our open house and member meeting.